Went back a few years, to the summer of 2009, to dig up this beautiful scene in the Muskoka cottaging region in the Canadian province of Ontario. 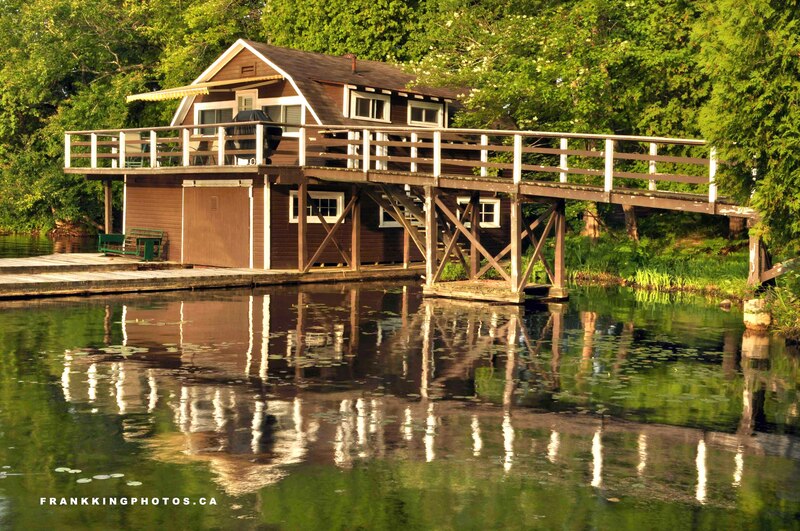 My wife & I were blessed to stay at the cottage of our friends, the Stevensons, and one of the other cottages owned by their family caught my attention when I wandered around with a camera one sublime evening and saw this reflection. As you can probably tell, this is a pretty simple composition, with my only specific goal to keep the distracting sky out of the picture. Awesome photo. Love the reflections.